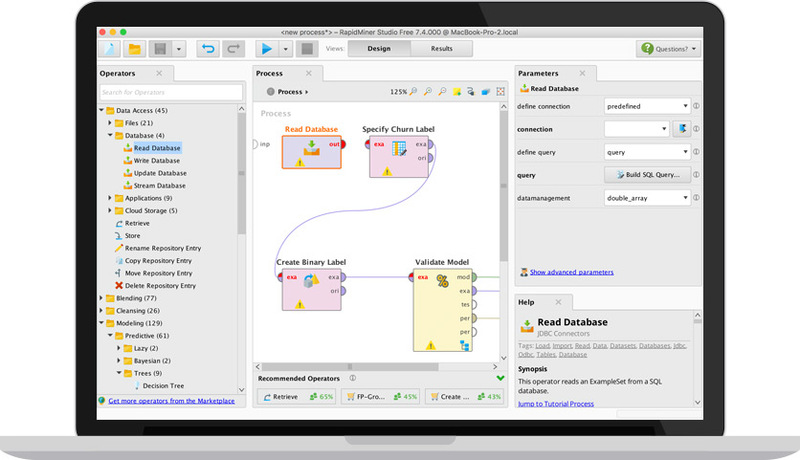 RapidMiner is a software platform developed for machine learning, data mining, text mining, predictive analysis and business analysis. The software is manufactured by the company with the same name. The software is generally used in business and commercial applications as well as research, training, rapid prototyping and application development. In addition, all the steps of the data mining process are supported by the software, so it is possible to use the software for purposes such as data preparation, visualization of results, verification and optimization. Please contact us for detailed information. Connect to any format on any scale, to any data source. 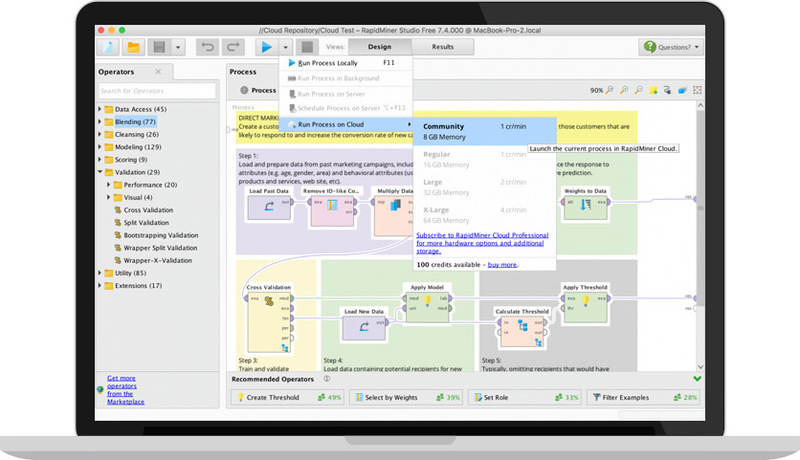 Quickly discover patterns or data quality issues. 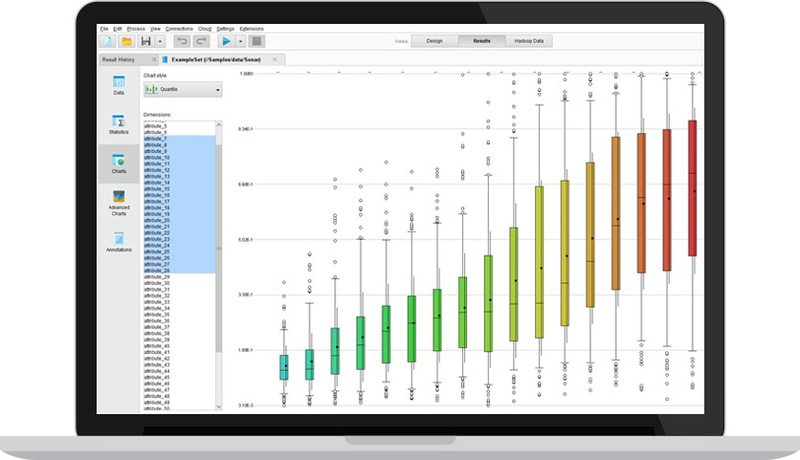 Create the most appropriate data set for estimation analysis. 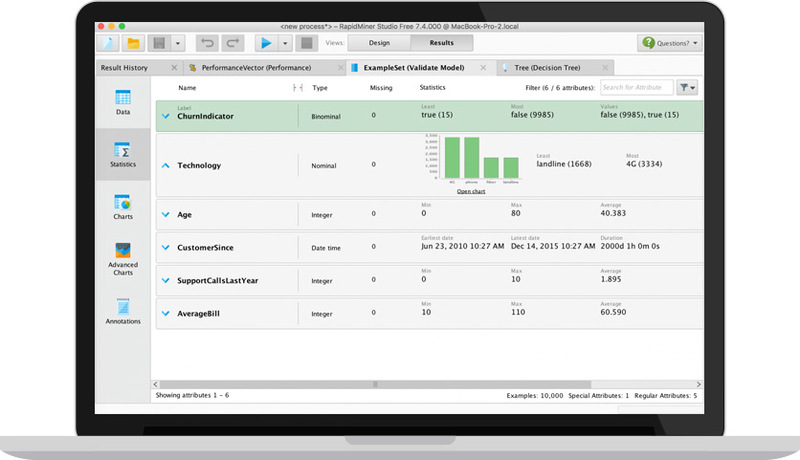 Clean the data expertly for advanced algorithms. Creates and delivers better models faster. Predict model performance safely and accurately. 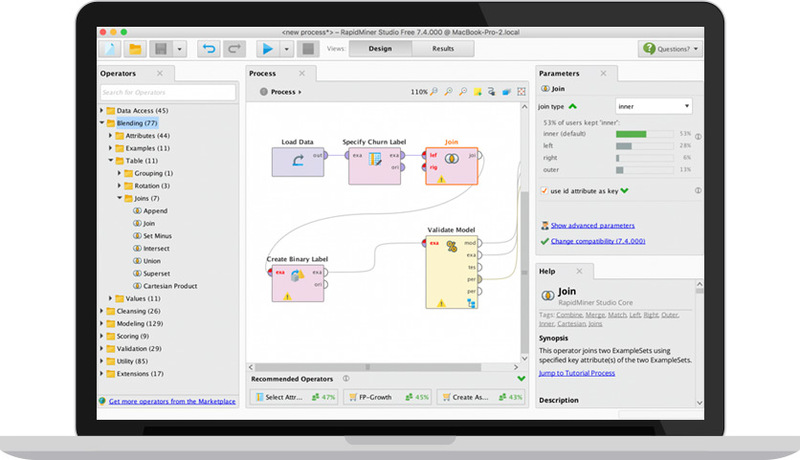 The visual workflow designer accelerates prototyping and validation of prediction models with predefined links, built-in templates, and repeatable workflows. Contains more than 60 file types and formats for structured and unstructured data. Supports plain text, HTML, PDF, RTF and many more. Displays the property name and type as a graphic. Bubble charts and 3D dispersion graphs. 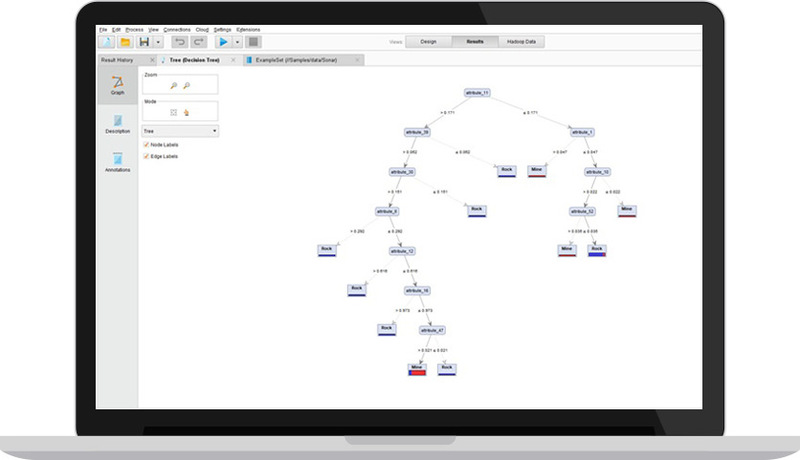 Network and tree visualizations and more. Multiple options for collecting, filtering and sorting data. Feature engineering operators for feature selection, creation and extraction. Options for new feature generation. Provides a variety of advanced approaches for data cleaning. Classification, regression and aggregation techniques. Association mining, frequent product set and similarity calculation. Integrate R, Python, and custom scripts seamlessly. Cross validation and division verification. Accuracy, Sensitivity, Recall, RMSE, AUC and more.